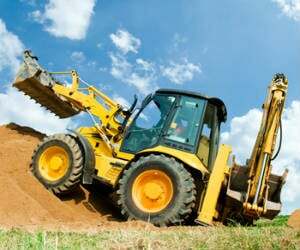 Texas Excavation Contractor Insurance. An excavation contractor is one who is responsible for preparing land for construction. Excavating contractors specialize in digging into the ground for building foundations or trenches for utility lines. The digs may be deep or shallow. Some provide related services such as grading of land, land clearing, or hauling and disposal of earth and debris. As a result, excavating work comes with many risks. With the level of risk involved in this kind of work, it's important you have the right and enough coverage to protect your company. Keeping your business protected is one of the most important things you can do especially in the field of excavation. If you are an independent TX excavation contractor, you must ensure that your business has the right insurance to keep you and employees protected. That's is why a smart move is to ensure they are properly protected with an-adequate Texas excavation contractor insurance policy. Texas excavation contractor insurance protects your business from lawsuits with rates as low as $67/mo. Get a fast quote and your certificate of insurance now. Commercial general liability insurance: With this kind of liability insurance you are covered for property damage or third-party injuries caused by your employees. Making sure you have the right amount of insurance coverage before beginning a job is important. If you are hired to do excavation work you may be required to add the general contractor as an additional insured on your CGL for the duration of the project. Umbrella insurance coverage: Property damage or serious injuries while on the job can be expensive. As a result, the regular insurance policy may not have the limit to keep you fully protected. This type of coverage gives you more protection over your business finances by allowing you to buy extra liability insurance coverage. Commercial auto liability coverage: Excavation work may require you to move equipment to and from the job site. Heavy equipment such as 18-wheelers, backhoes and dump trucks are just some the type of equipment you may be transporting. A commercial auto insurance policy gives you a higher limit than the regular auto insurance policy. It's a good idea to have this type of coverage so that you can stay protected to protect against the damage of you excavating equipment. Safety is a huge part of insurance coverage for a business that includes demolition. With demolition being a part of your business you have a larger risk of damage to equipment and property. Generally with the standard general liability insurance, damage from demolition jobs are excluded. Luckily some insurance companies include demolition insurance coverage. To find out if a company does you would have to speak with an independent insurance agent. Before giving your demolition insurance policy, you may have to meet some terms and conditions. The right insurance agent will help you in the process of finding the right insurance company to help you with TX demolition coverage. In most states workers compensation is a must for any non-owner employees. Most hiring general contractors require that you have workers compensation insurance. Showing proof that you have this type of insurance may be necessary to get the job. It's a good idea to keep the equipment you will be using for your excavation jobs protected. Protecting them from damage and theft is important. Most of the time when a top contractor is working on a project they will have purchased builders risk insurance policy. With this type of policy, all property on the job site and other assets owned by your business are protected. Inland marine insurance is also good to keep your tools, business property and machinery protected. A wide range of coverage types is offered with this these types of insurance. Speaking with an independent insurance agent will allow you to decided on the insurance type that is right for you. Being protected while on the job is one of the most important things when doing excavation work. To ensure your workers are safe and that the tools and machinery being used are safe ones must make sure that they have the right insurance. Getting the right insurance can be hard because you want to get the right coverage for your business. Premises liability exposures at the contractor's office are generally limited due to lack of public access. At the job site, digging and other operations pose numerous hazards, especially if the contractor exercises inadequate control of the area. The public or employees of other contractors can be injured due to trips and falls over debris, equipment, or uneven ground. Once a hole is excavated, there must be shoring or other supports to prevent collapse if people are to work in the hole. Digging can result in cutting utility cable, damaging utility property and disrupting services to neighboring residences or businesses. A significant morale hazard may be indicated by the absence of detailed procedures to determine utility locations and to research prior uses of the land. Construction sites create an attractive nuisance hazard, especially if work is close to residential areas. All equipment must be disabled when not in operation to prevent untrained individuals from using it. Fencing must be in place with appropriate warning signs to prevent trespassing. Excavating in an area of existing structures requires extra vigilance to prevent foundation and structural damage to nearby buildings. Environmental impairment exposure is moderate due to the potential for air, land, and water pollution from the use and storage of fuels along with the possibility of erosion from construction operations. Spills must be controlled and equipment monitored at all times. Operations can result in claims of noise or dust pollution by neighboring properties and claims for cumulative structural damage to neighboring foundations from heavy traffic. Property exposures at the excavator's own location are generally limited to those of an office and storage of equipment and vehicles. Fire hazards arise from refueling and repair operations due to the storage and use of flammable gasoline and other fuel sources. Crime exposure is from employee dishonesty. Background checks should be conducted prior to hiring any employee. All ordering, billing and disbursements must be handled as separate job duties and regularly audited. Physical inventories should be conducted on a regular basis to prevent employee theft of equipment. Inland marine exposures include accounts receivable if the contractor bills customers for services, computers, contractors' equipment, and valuable papers and records for customers' and regulatory information. Excavation equipment can be heavy and difficult to transport without adequate loading, tie-down and unloading procedures. If the equipment's load capacity is exceeded during excavation, the equipment may be damaged. Excavation may be conducted on uneven surfaces in rural area. Equipment may strike underground objects or utilities, fall into holes or pits, slip or fall into mud, water or sinkholes, be damaged in rock, land or mud slides, or burst into fire from overload. Equipment may be subject to changes in the weather, water hazards, drop and fall from heights, or being struck by other vehicles. Equipment left at jobsites may be subject to theft and vandalism. Equipment should be secured and rendered inoperable when not in use. Commercial auto exposures are high due to the transport of oversize machinery and equipment and loads of excavated dirt and gravel. Roads in rural areas may be narrow and the ground uneven, increasing the risk of collision and upset. The driver of the truck must be trained in handling a top-heavy vehicle as considerable skill and knowledge is required for safe driving. If there is a collision, the resulting overturn may spill the load spill onto a public road and preventing access until clean up is completed. All drivers must have appropriate licenses and acceptable MVRs. Vehicles must be maintained and the records kept in a central location. Workers compensation exposures can be high. Lifting and back injuries, hernias, sprains and strains can occur from setting up equipment for excavation. Collapse of retaining walls, mudslides or landslides, sinkholes, or overturn of equipment may result in severe injury or death from crushing or suffocation. Digging and grading of land may result in injury from underground electrical cable or gas lines. Common hazards include slips and falls, foreign objects in the eye, hearing impairment from noise, cuts or puncture wounds, bites from insects or vermin, and exposure to pollutants. As operations are often conducted in remote areas, it may be difficult to transport an injured worker to a medical facility to receive prompt treatment. 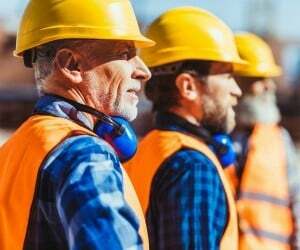 The absence of good maintenance, proper use of basic safety equipment, such as properly installed guards, steel-toed shoes, and eye protection, and strict enforcement of safety practices may indicate a morale hazard. 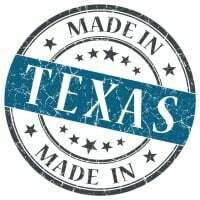 Request a free Texas Excavation Contractor insurance quote in Abilene, Allen, Alvin, Amarillo, Arlington, Austin, Balch Springs, Baytown, Beaumont, Bedford, Benbrook, Big Spring, Brownsville, Bryan, Burleson, Carrollton, Cedar Hill, Cedar Park, Cleburne, College Station, Colleyville, Conroe, Coppell, Copperas Cove, Corpus Christi, Corsicana, Dallas, DeSoto, Deer Park, Del Rio, Denison, Denton, Duncanville, Eagle Pass, Edinburg, El Paso, Euless, Farmers Branch, Flower Mound town, Fort Worth, Friendswood, Frisco, Galveston, Garland, Georgetown, Grand Prairie, Grapevine, Greenville, Haltom City, Harker Heights, Harlingen, Houston, Huntsville, Hurst, Irving, Keller, Kerrville, Killeen, Kingsville, Kyle, La Porte, Lake Jackson, Lancaster, Laredo, League City, Leander, Lewisville, Little Elm, Longview, Lubbock, Lufkin, Mansfield, Marshall, McAllen, McKinney, Mesquite, Midland, Mission, Missouri City, Nacogdoches, New Braunfels, North Richland Hills, Odessa, Paris, Pasadena, Pearland, Pflugerville, Pharr, Plainview, Plano, Port Arthur, Richardson, Rockwall, Rosenberg, Round Rock, Rowlett, Sachse, San Angelo, San Antonio, San Benito, San Juan, San Marcos, Schertz, Seguin, Sherman, Socorro, Southlake, Sugar Land, Temple, Texarkana, Texas City, The Colony, Tyler, University Park, Victoria, Waco, Watauga, Waxahachie, Weatherford, Weslaco, Wichita Falls, Wylie and all other cities in TX - The Lone Star State.